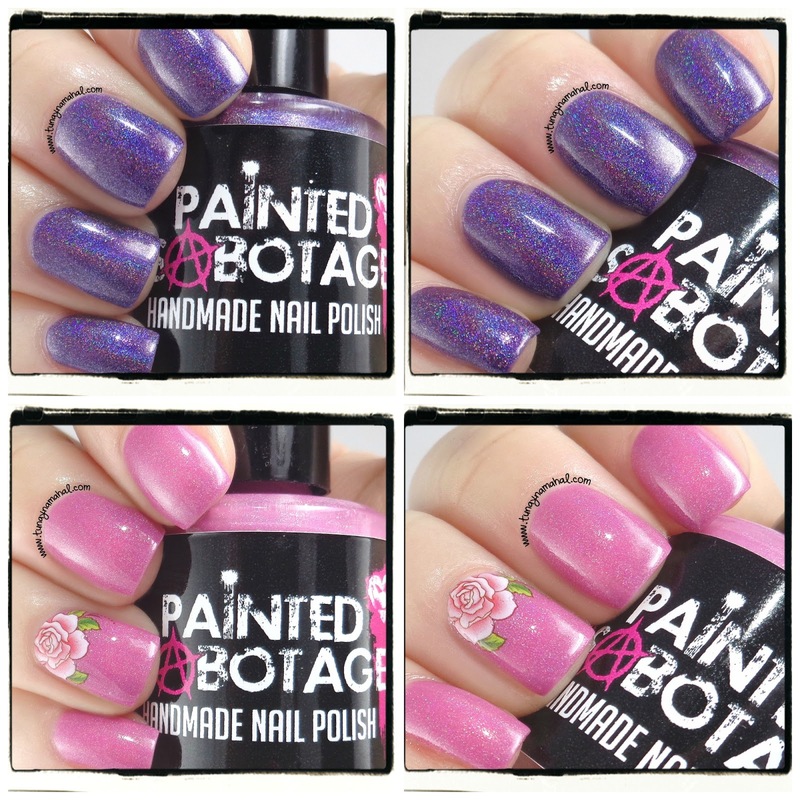 Painted Sabotage: Amnesia, & Shall We Go? 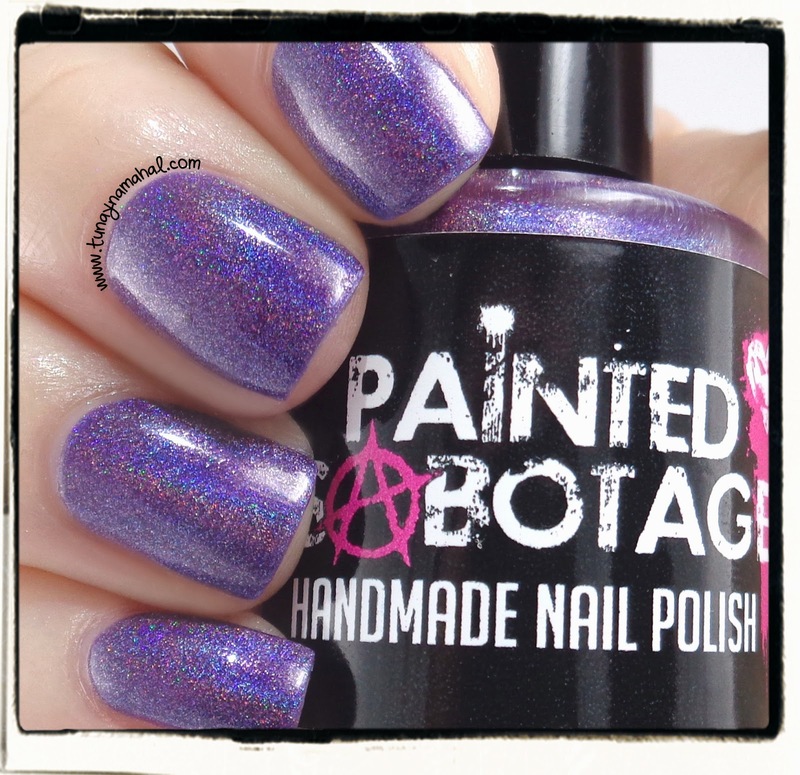 I have two holographic polishes from Painted Sabotage for you today. A gorgeous pink named Amnesia, and a dark purple named Shall We Go. Shall We Go is a dark purple linear holographic polish. Purples are my weakness so I absolutely love this one, and the holo is quite strong too. This is two coats, plus Seche Vite topcoat. 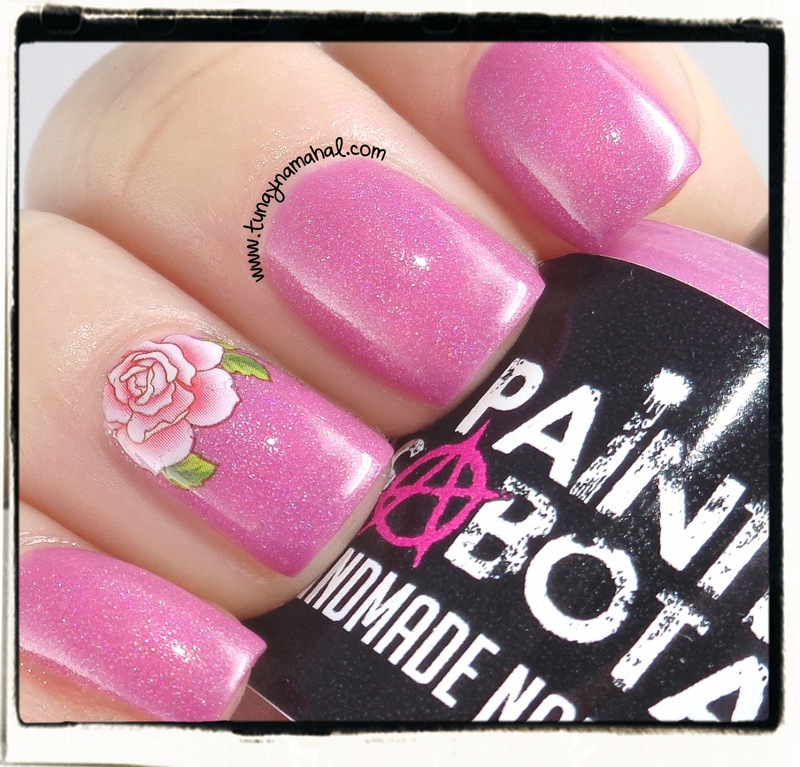 Amnesia, named after Amnesia Roses, is a gorgeous pinkish purple scattered holographic polish. 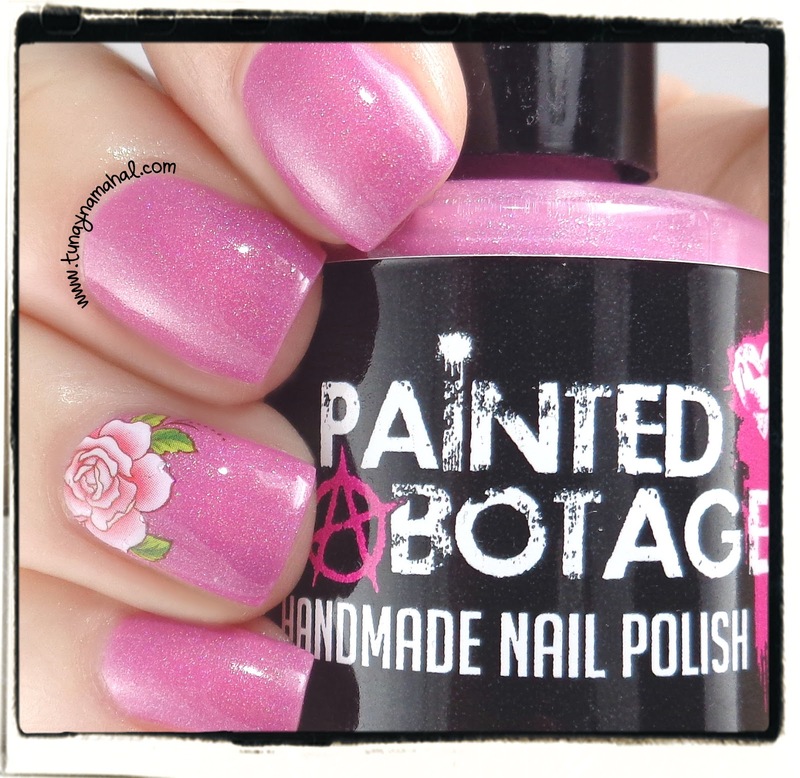 I used one of my favorite Born Pretty Store rose water decals on my accent nail. This is two coats plus Seche Vite topcoat.